Get a complete list of questions to ask your candidate's references. 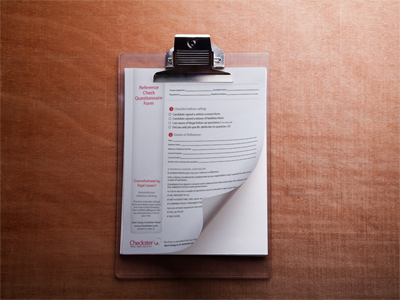 This free reference check questionnaire guide is an easy and effective checklist of everything you'll need to know and everything you need to ask when contacting a candidate's references. Reference checks have changed, and so should your questions. Asking the right questions will help you narrow down your list quickly and weed out any bad hires.